ZTE Corporation (0763.HK / 000063.SZ), a major international provider of telecommunications, enterprise and consumer technology solutions for the Mobile Internet, today reached an agreement on strategic cooperation with leading operator Ooredoo Group. That will enable Ooredoo Group's 164 million customers to experience digital in new and exciting ways and enjoy the internet more. Both sides signed the Memorandum of Understanding during Mobile World Congress 2018 in Barcelona. According to the agreement, both parties, on the basis of existing cooperation, will jointly conduct a series of technology verification tests and assessments in 5G, to further strengthen Ooredoo's leading position and accelerate the commercialization and roll-out of 5G in MENA. 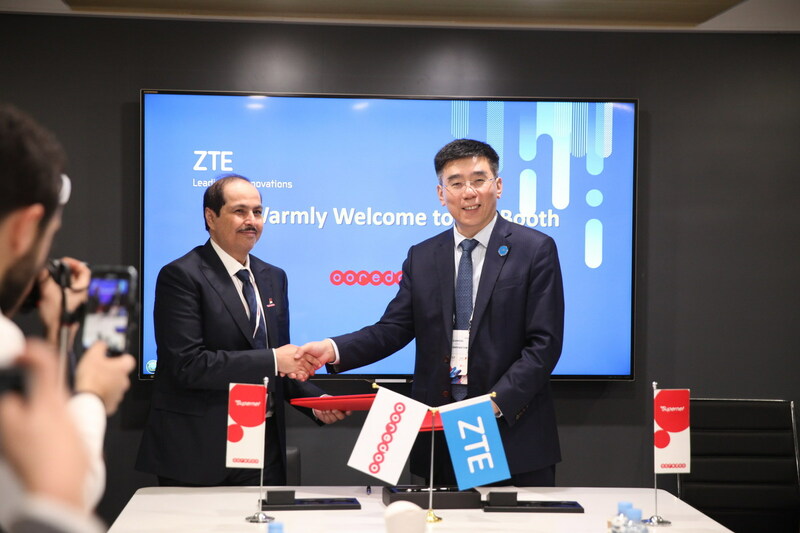 As a leading provider of end-to-end 5G solutions in the industry, ZTE will provide Ooredoo Group comprehensive technical support including end-to-end networks, applications and terminals. The two parties will complete the joint verification of 5G technology architecture, business model and user experience, expecting to lay a solid foundation for Ooredoo Group to take the lead in 5G deployment in MENA. "ZTE has always been a long-term strategic partner of Ooredoo Group. We hope that through the strategic cooperation this time, we can strengthen existing cooperation and jointly explore the future direction of network construction and technology evolution, and promote our 5G ecosystem building across our footprint. This will help us achieve our vision of enriching people's digital lives and enable them to enjoy the internet even more." said Sheikh Saud Bin Nasser Al-Thani, Chief Executive Officer of Ooredoo Group. Zhao Xianming, President of ZTE Corporation, said: "As the world's leading provider of ICT solutions, ZTE pioneers in the field of 5G, our core strategy. We believe that the cooperation in 5G field this time will help Ooredoo leverage its performance as the best carrier, and enable it to build a world-class network." ZTE has been taking 5G development as its core strategy and striving to lead 5G innovations. ZTE has entered into 5G partnerships with many well-known high-end operators worldwide, including Telefonica, T-Mobile, Italy's Wind Tre, Belgium's Telenet, VEON, Telecom Malaysia, South Korea's KT, China Mobile, China Unicom and China Telecom.